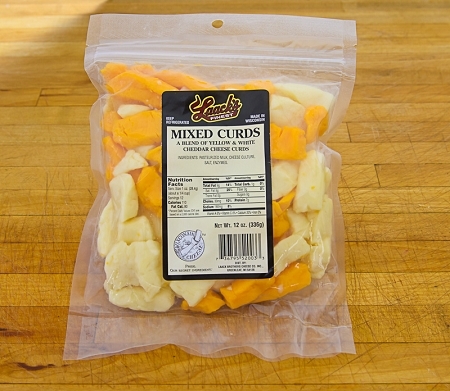 Hennings Cheese - Made in Wisconsin. 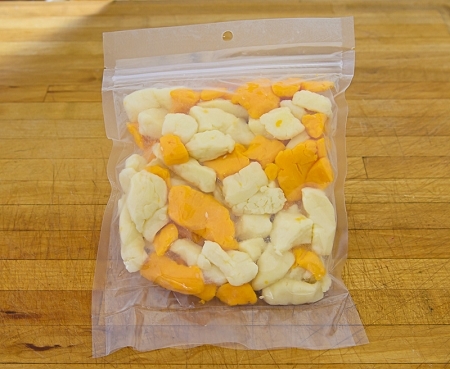 A blend of Yellow & White Cheddar Cheese Curds. Net Wt. 12oz.